Ohne geschichte gibt keine zukunft. Leon Greff founded Greff Motors in 1963. Located in Metairie, it was the first independent Porsche repair center in the Gulf South. Leon was stationed at Okinawa Air Force Base during the Korean War, where he was crew chief in charge of maintenance and repair of military jets. In the 1960’s Greff drag raced Porsche powered (906 engine) cars and is a national record holder with NHRA in I-Gas, J-Gas, and F-Gas. 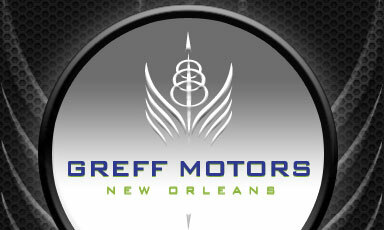 Greff Motors, dba Delta Motors in 1972, was the only Alfa Romeo dealership in New Orleans. The dealership was relinquished in 1976 and Greff Motors became an exclusive Porsche facility in 1980. Greff Motors expanded their service and repair to include Mercedes and BMW. Leon Greff and his wife Delta were charter members of the Swampland Region Porsche Club. Leon Greff lost his battle with cancer in Feb 1989. Randy, at age 15, began working for Greff Motors. Randy studied books on Porsche chassis setup & aerodynamics, engine performance, and design. He became General Manager of Greff Motors in 1983, just shy of his 21st birthday. Randy raced 911’s in SCCA GT1 in the 90’s and co drove Hawkins/Greff 944S2 in IMSA Firehawk Series. In 1991-95 New Orleans hosted the Mardi Gras du Grand Prix. Randy drove the Greff Motor’s 911 GT2. Randy and Terri are charter members of the Mardi Gras Region Porsche Club. In June 2006, Greff Motors moved into its latest triumph, an 11,000 square foot state of the art service, sales, and repair facility. Its 2400 square ft contemporary showroom is home to the mural that commemorates the accomplishments of Leon Jr. and Randy. The service department has 7 bays and is outfitted with all the latest diagnostic equipment. We are proud of our beginnings and passionate about our future. Wir sind familie. We are family. Jim Lejeune Master Certified Mercedes Benz technician 25 years/master certified since 1999.